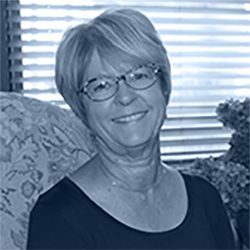 Trustee Linda L. Angelo has served the Holmes County Education Foundation since 1993. A strong advocate for students, she serves on the Foundation's Scholarship Selection Committee. 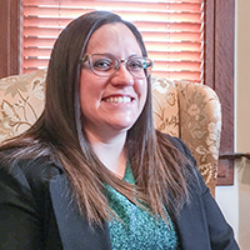 Her experience as both a teacher and administrator within the school system gives her a strong background for her position on the Board of Trustees. She was a resident of Holmes County for over thirty years and an educator in the Holmes County School Systems for over twenty-five years. Linda's experience with and impact on local education is extensive. She was a teacher for ten years, Gifted Coordinator for three years, Curriculum Consultant for ten years, and served as the Federal Programs Coordinator prior to her retirement. Matthew W. Campbell is a Financial Advisor with Investment Partners, LTD. Matt is a former HCEF scholarship recipient who obtained his degree in Business Administration/Finance from Ohio University. Matt stated, "A formal education and career training is vital to the future progress of any community. I have received a tremendous return on the investment into my own education, and would like to see others receive this same opportunity." He stays very active in the community and has been involved in the Holmes County Chamber of Commerce, West Holmes Athletic Boosters, Millersburg Baseball Association, West Holmes Soccer Club, HCEF Advisory Board, and Millersburg Faith Lutheran Church. Matt resides in Millersburg with his wife and they have three sons. In his spare time, he enjoys time with family, traveling, and attending concerts and sporting events. David A. Coil began his career with Hummel Group, Inc. in 1994 and is currently Principal and Business Risk Advisor. He received his Bachelor of Arts in Business (BA) from Goshen College. He is also a Fellow of Life Management Association, Certified Master Logger, and Certified Insurance Counselor. He has been active in the Holmes County Chamber of Commerce, Hiland Academic Booster Club, Martins Creek Mennonite Church, Berlin Youth Baseball, and Ohio Forestry Association. David believes that "It takes a village to raise a child" and HCEF epitomizes that saying through the advanced educational opportunities that are offered because of the generous donors and supporters. It is always a blessing to see the smiles on the recipients' faces when they receive their scholarship awards. Craig E. Hershberger began his career in Holmes County as an educator in both West and East Holmes schools and most recently retired as school counselor from Hiland High and Middle School after 37 years in education. He earned a BS degree in Education and a master’s degree in Counseling from Malone College and a master’s degree in School Administration from Ashland University. He’s been active with the Hiland Academic Booster Club, Holmes County Fair Board, Holmes County 4-H Advisor and member of Walnut Creek Mennonite Church. 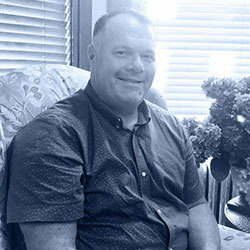 Craig has been a vital partner of the Holmes County Education Foundation since inception and states, “I have seen the benefits received by area students and the doors that have been opened for them…We need to continue to support our young people and give them the opportunity to continue their education and possibly return to the workforce in Holmes County.” Craig is married to Deb and they have two daughters and sons-in-law. Craig enjoys farming, time with family and watching sports. Judge Robert D. Rinfret currently serves as Common Pleas Court Judge in Holmes County. 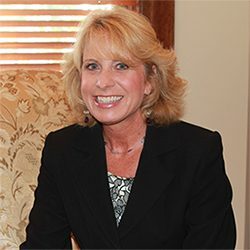 Rinfret served as the assistant prosecutor for the Holmes County Prosecutor's Office from 2004-2010 and has served as a private-practicing attorney for Rinfret Law Office since 1973. 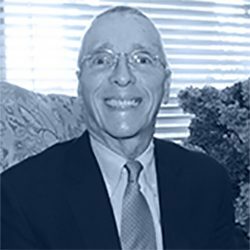 He previously served as the prosecuting attorney for Holmes County from 1984-2004, and as a professor of law at The University of Akron | Wayne College. Rinfret currently serves as a volunteer coach for the West Holmes High School track team and is a founding member of the Holmes County Junior Olympic Track Club. He has also been involved in the Holmes County Rails to Trails Coalition, is a former Holmes County Park District board member, a Holmes County volunteer basketball coach for East and West Holmes elementary school districts, and is a former advisor for the Holmes County Mock Trial Teams. He is married to Rosanne Parrot-Rinfret, who was a West Holmes School District teacher. They have three daughters. 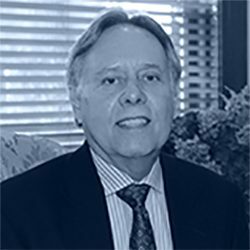 John R. Waltman serves as the Chairman of the Board and as the legal consultant for the Foundation. 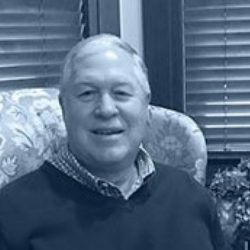 He has been with Critchfield, Critchfield & Johnston LTD for over 30 years and is a lifetime resident of Holmes County. 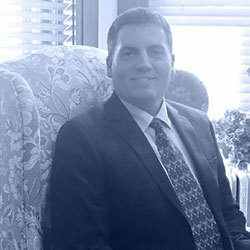 He is a member of the Holmes County, Ohio and American Bar Associations, Fellowship with the Ohio State Bar Association, and is a Director of the Commercial and Savings Bank. As such, he is "totally dedicated to the people of Holmes County and the assistance the Education Foundation may provide to enhance their lives." Darla Stitzlein is a strong believer in life-long learning and wants to inspire others of all ages to continue to learn new things and stretch their boundaries. She grew up in the family restaurant business at Geneva-on-the-Lake, Ohio and began working in Holmes County after graduating from the Ohio State University. She likes tackling new outdoor adventures every year, traveling with her husband Skip, sharing time with family and friends, trail running and horseback riding. She is a member of the Millersburg Rotary Club and Holmes County Chamber of Commerce. She serves as Executive Director of the Holmes County Education Foundation. Ashley is a 2003 graduate of West Holmes High School who earned a Bachelor’s degree in Middle Grades Education from Ashland University. Since 2011, she gained purchasing and business experience with Schaeffler (Formerly LuK USA, LLC). While living in Wooster for the past nine years, Ashley has been involved with the Wooster Young Professionals, Lamplighters Civic & Social Club, and St. Mary’s Young Adult Group. Ashley values education and has a passion for helping others. During her free time, Ashley enjoys spending time with family and friends, seeing concerts, and cooking. Ashley is grateful to be back in Holmes County, and looks forward to serving the Holmes County Education Foundation for many years! In order to facilitate growth and to make the Holmes County Education Foundation (HCEF) as valuable as possible to Holmes County and its residents, the Foundation Board of Trustees determined to enhance HCEF leadership. An advisory board has been created and will extend the influence and importance of the Foundation throughout the county in pursuit of the HCEF's mission, which is "to strengthen our community by helping Holmes County residents pursue further education opportunities."